The Days Inn is conveniently located in a wooded setting off Interstate 70 between St. Louis and Indianapolis and is a perfect stop if traveling to Branson. 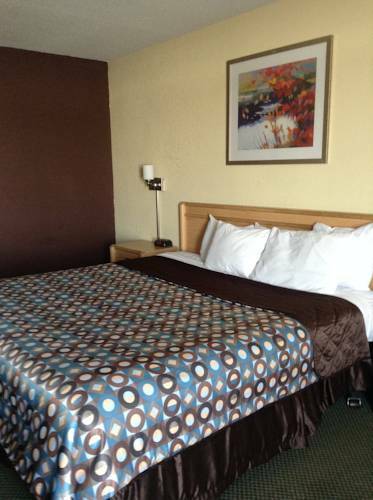 This Casey hotel is located five miles from the Lincoln Trail Motocross and is close to popular attractions like Fairview Park, the Casey Country Club, the annual Labor Day Popcorn Festival, Mill Creek Park and Eastern Illinois University. There are a variety of restaurants and cocktail lounges within walking distance. The hotel is less than two miles from Richards Farm Restaurant. Other area restaurants include Hardees, KFC, Pizza Hut and the VFW. Guests of this Casey hotel will enjoy the guest laundry services. There are also ballparks, pavilions and picnic areas overlooking a pond and waterfall. Pets are also welcome, fees apply. At 198 feet tall, "The Cross at the Crossroads" looms over "The Crossroads of America" at the intersection of Interstates 57 and 70. America's most famous World War II correspondent, remembered in two World War II-style Quonset Huts.